Two new Vector Displacement Mesh Brushes, Chisel3D and ChiselCreature. A generator for creating 3D Text in real-time including the ability to create any shape from an SVG file using the Shape Creator plugin. A cut down version of the Decimation Master Plugin that includes five presets. The full version of the 3D Print Hub Plugin for exporting models for 3D replication. Export Menu Added with Export Value Controls. Adoption of the ZBrush 2018 Activation System, including Dual-Platform Licensing. OBJ Import now accepts colour. Addition of the Smooth Groups Brush. Updated Projection System for DynaMesh. 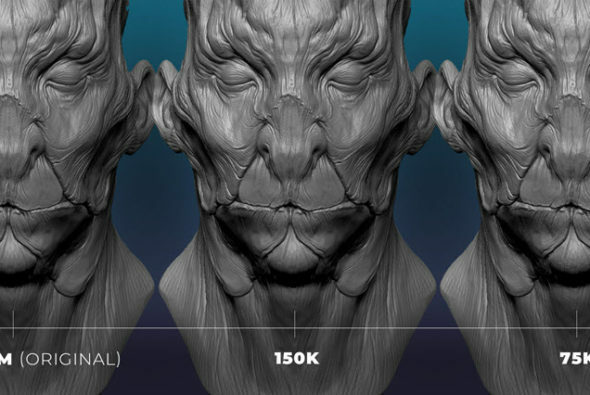 ZBrushCore – это сокращенная версия ZBrush, предназначенная для художников, которые новы для 3D, а также иллюстраторы, студенты и энтузиасты 3D-печати. Бессрочная лицензия стоит 149,95 долларов США. Подробнее о выпуске Pixologic’s website.